1 Alexander Hug (center), deputy head of OSCE, Europe's monitoring mission in Ukraine, stands next to armed pro-Russian separatists as the convoy makes its way to the MH17 crash site outside Donetsk, July 30, 2014. 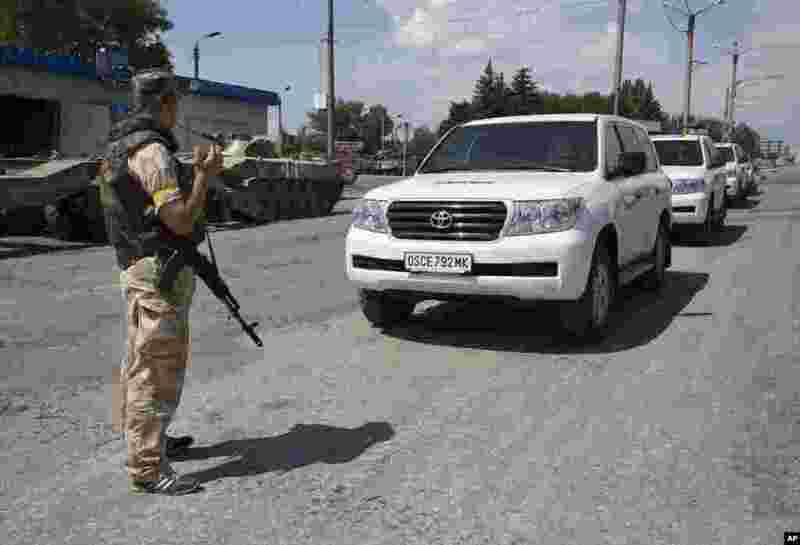 2 An Ukrainian government army soldier stands guard next to the convoy of the OSCE mission in Ukraine, at a check-point in the village of Debaltseve, Donetsk region, July 31, 2014. 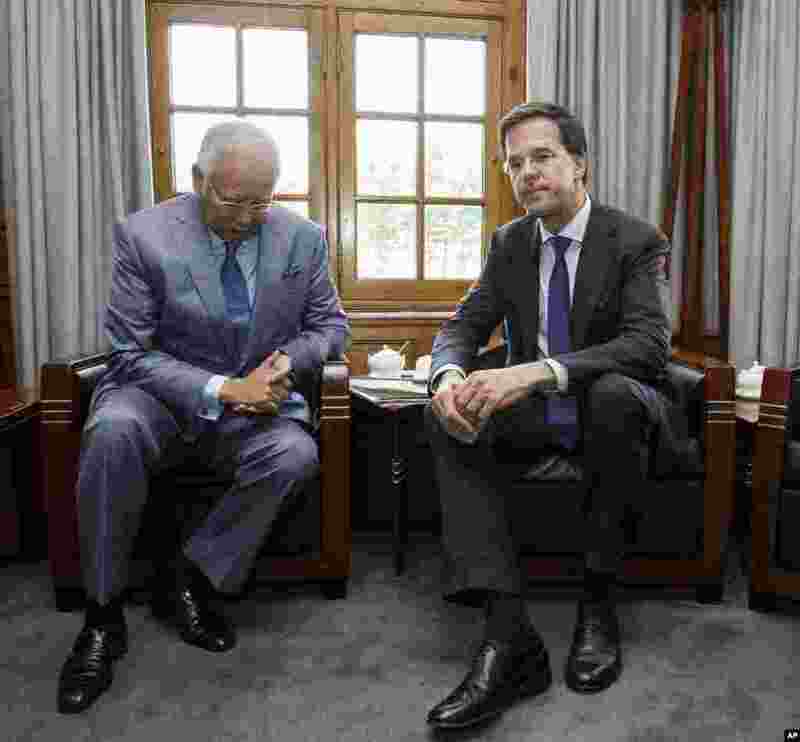 3 Malaysian Prime Minister Najib Razak (left) and Dutch Prime Minister Mark Rutte prior to their talks in The Hague, Netherlands, July 31, 2014. 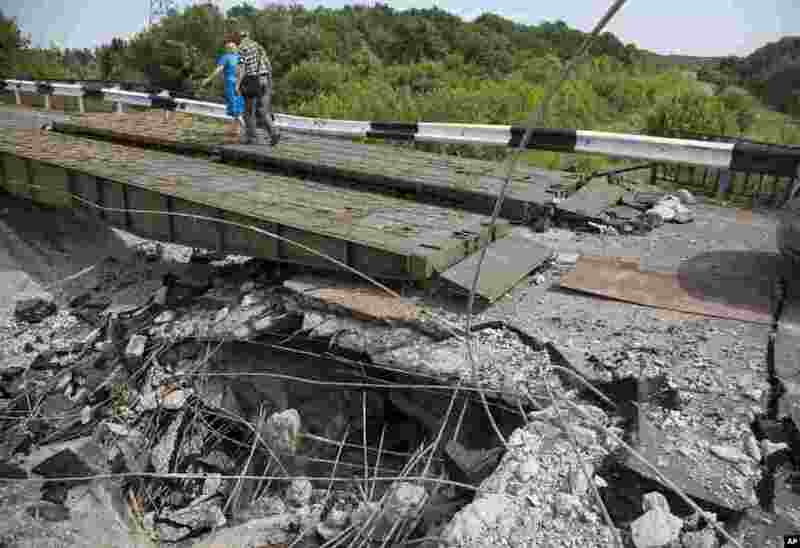 4 People walk across a heavily damaged bridge near the village of Debaltseve, Donetsk region, July 31, 2014.